I’m a sucker for tradition. I figure only the best ones have survived through the ages, and for good reason. They bring people together in a spirit of shared comaradery–often over lots of good food and drink. 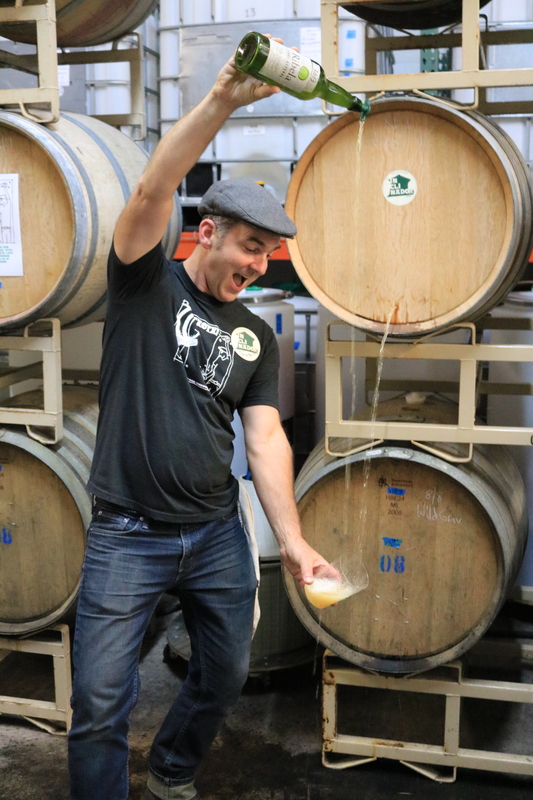 Embracing this spirit of community and celebration, Sonoma County cider makers are gearing up to launch the very first Sonoma County Cider Week from August 3rd – 12th. 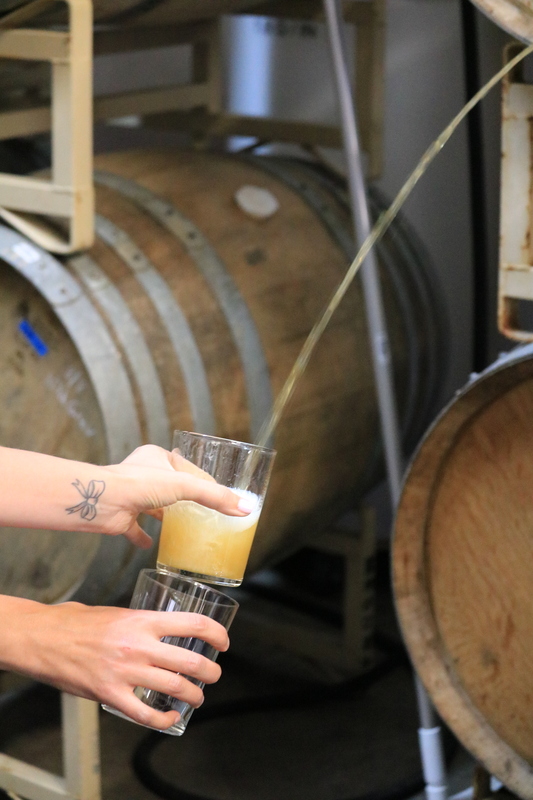 The cider-centric festivities are poised to raise awareness about the county’s rich apple heritage, and educate consumers about the extraordinary quality and diversity of local hard ciders. 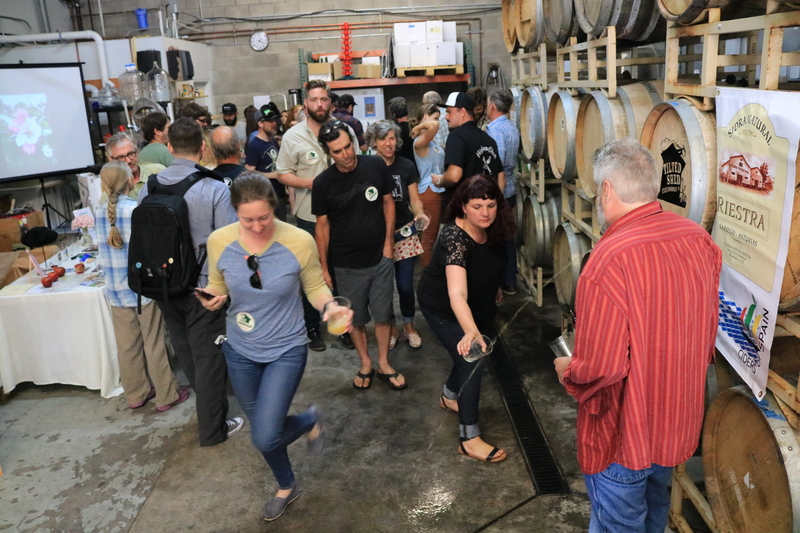 One of my favorite events on tap for Cider Week is the third annual TXOTX Party (pronounced /CHO-ch/) hosted by Tilted Shed Ciderworks at their tasting room in Windsor, California. 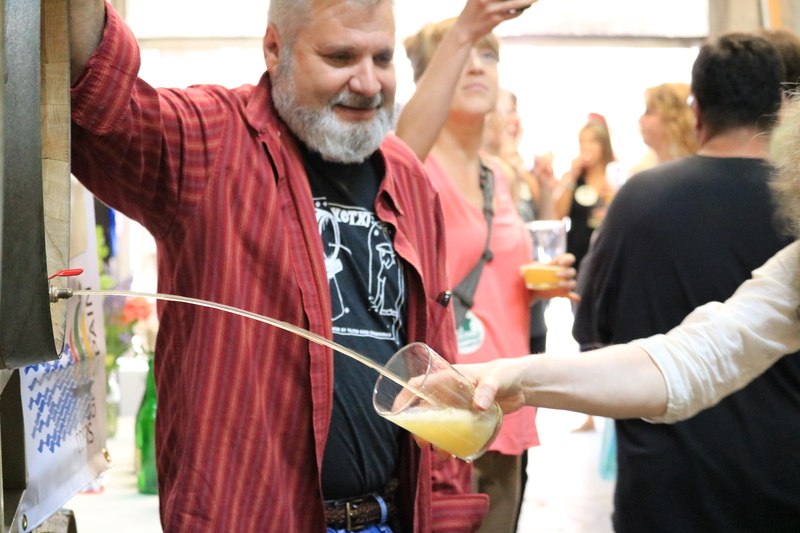 This centuries-old tradition, with origins rooted in the Basque and Asturian regions of Spain, involves the practice of “throwing” sidra (Spanish for cider) by the traditional long pour (escanciar) method, as well as tapping a cider barrel while running by with a glass to catch the stream in mid-air! 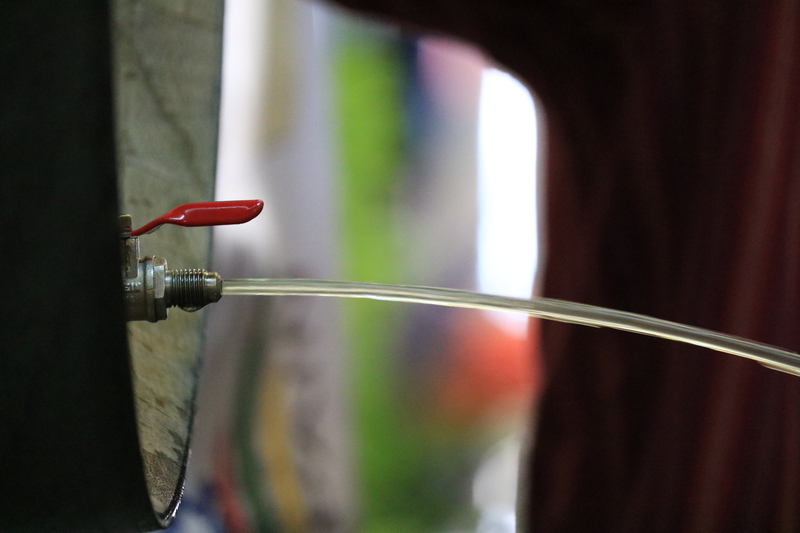 According to Spanish lore, “TXOTX” is the sound made when the barrel is punctured to release the cider. Since traditional Spanish sidre is still not carbonated, the act of physically catching the cider in your glass from the stream adds some effervescence to the drink. TXOTX is both an invitation to gather round, and a toast. It’s a rousing good time and a chance to “catch” an inaugural taste of Tilted Shed’s limited release 2017 Inclinado Sidra Natural, and 2017 Inclinado wild-fermented Gravenstein sidra straight from the barrel! 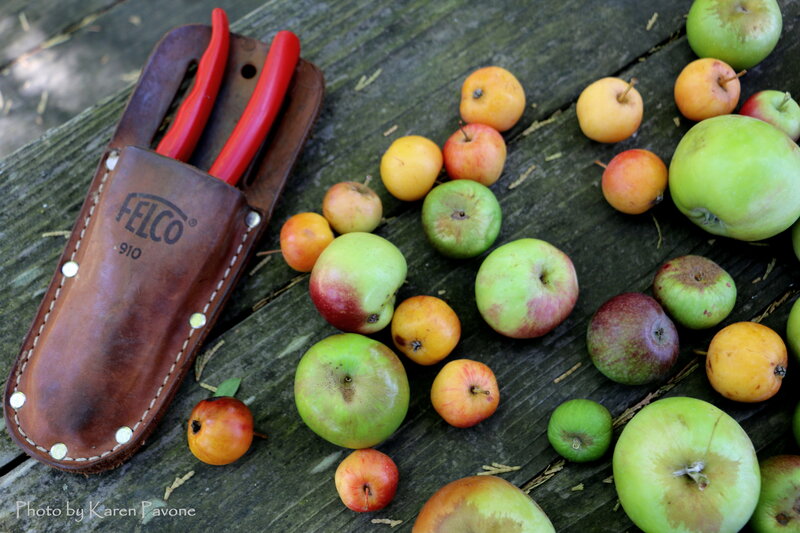 Sonoma County has an illustrious history as a prime apple growing region. Its unique micro climates, coastal fog, and summer heat have nurtured orchards for many generations. 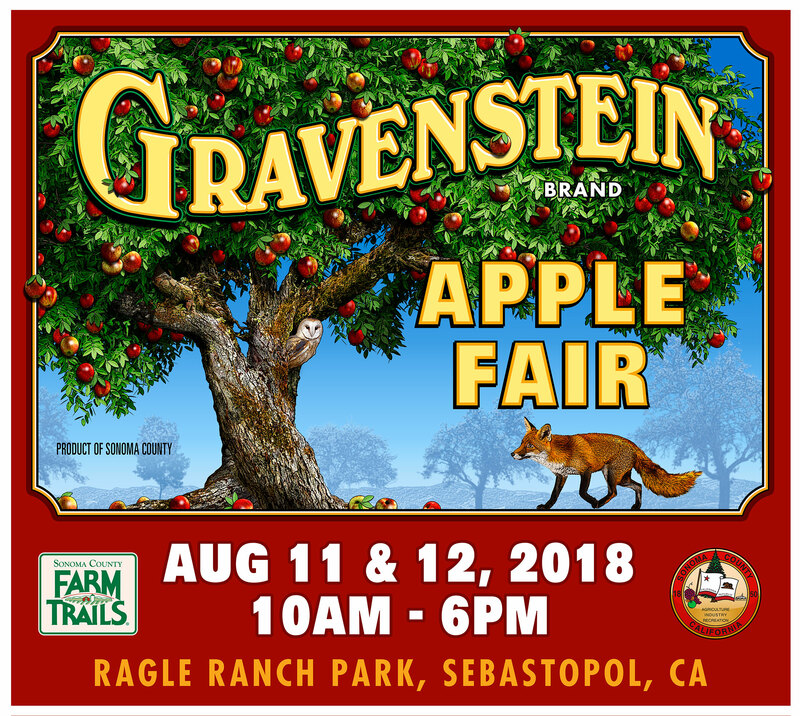 It was here that the beloved Gravenstein (still a prime baking, eating, and cider-making favorite) first took root in the United States, and each year the Gravenstein Apple Fair draws throngs of visitors to the area for a weekend of decidedly apple-licious fun. Yet despite it’s heritage, Sonoma County’s apple growers are in jeopardy. In the last decade or so, the land grab for wine grapes has seen increasing numbers of old orchard stock replaced with vines. With their very survival at stake, local apple growers have started thinking outside the bin to expand their market share. 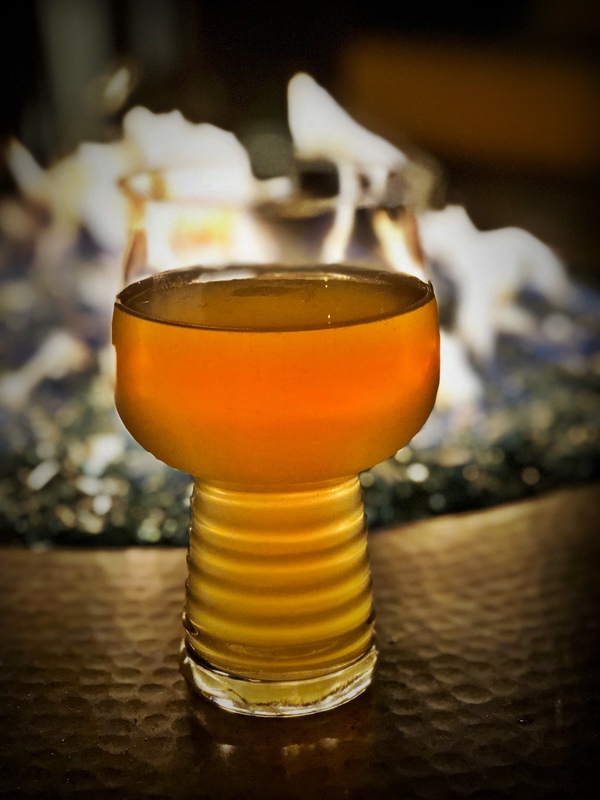 Hard cider, which has grown rapidly in popularity, quickly emerged as a value added product that may help save remaining orchards for a new generation of “spirited” apple aficionados. I hope you will join me in supporting our local cider makers by attending some of the many events and tastings during Sonoma County Cider Week. It promises to be epic! View the list of Sonoma County Cider Week events here, and check out all the participating cideries here. *A portion of proceeds from the collective events at Sonoma County Cider Week will be donated to North Bay Just & Resilient Future Fund. Thank you Jovina! I appreciate your readership through the years. Wish you were here so we could go together!